to experience a ghost, you just have to let yourself open up and no be afraid. It's aproximently 11:50 pm on Saturday night November 20, 2004. 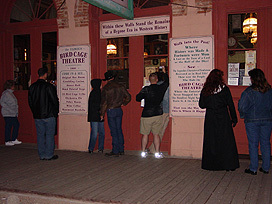 The tour group is walking behind the famous Bird Cage Theatre when I snapped this photo. 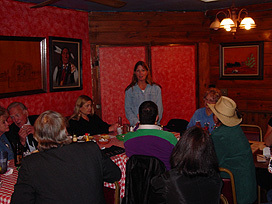 Orbs are all over the photo with a strong grouping of orbs that appear as a mist in the upper left hand corner of the photo. Below this orb grouping is the spot Curly Bill Brocius accidentlally shot Tombstone Marshal Fred White on October 27, 1880. Marshal white died a couple days later from this shooting. I simply named this photo the "Ghost of Marshal White", but you never know it could be? Take a look at the skeleton looking hands on the back of a guys black shirt or sweater front and center. The hands appear to pointing out the brightest orb on the photo, as if they're saying... it's Showtime! An alien type face also appears in the lower right corner of this mans black shirt. After further investigation, this guys shirt appears to have the same hand prints on the photo above while looking in the window of the Bird Cage, so thiers a good chance the hands are printed on his shirt, but we're still not sure. 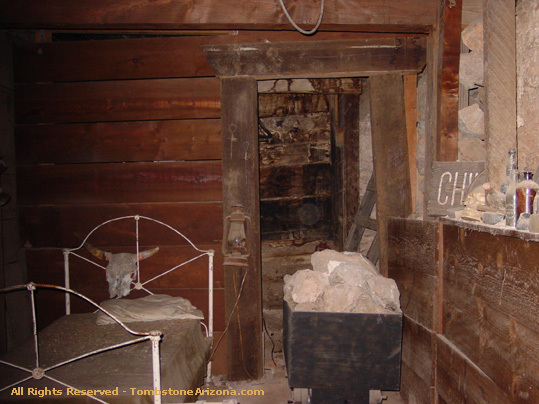 the door that leads into Toughnut Mine and you'll see a pretty good size orb. she smells ladies perfume in front of C.S. Flys Photo Studio. photo on her digital camera. 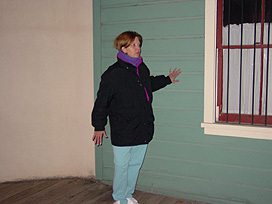 But the ghost she's trying to capture is right behind her! Look behind the women and you'll see an orb. 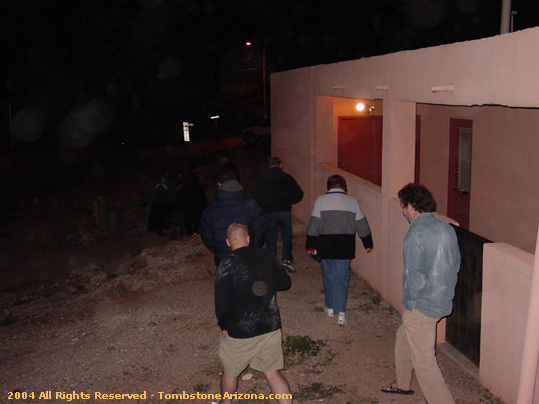 This is the location of the famous OK Corral gunfight that took place October 26, 1881 at approximently 2:30 p.m.
Join us next November for our annual Clanton Days Tombstone Ghost Tour. 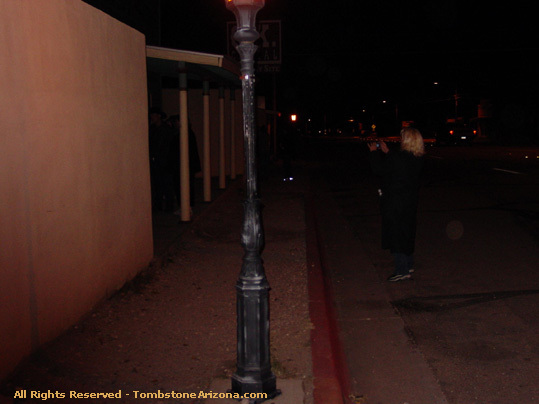 Our ghostly tours continue to make believers out of skeptics, this year was no different.